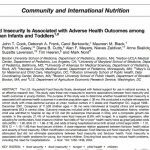 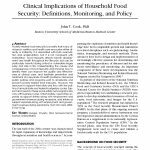 Poverty-related food insecurity is a reality that many clinicians in nutrition and health care encounter either directly or indirectly. 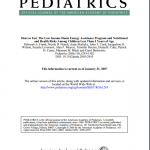 A report based on Children’s HealthWatch findings published in the July 2002 Archives of Pediatric and Adolescent Medicine. 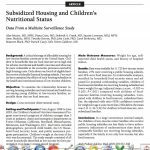 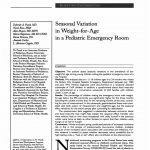 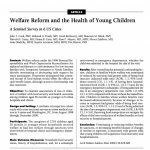 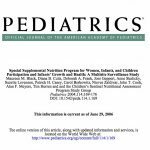 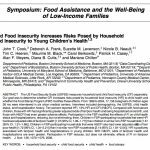 Welfare sanctions and benefit decreases have serious negative implications for infants and toddlers’ health and food security.